SHOOTING FOR THE STARS: Celebrating their volleyball team’s success, Katie Baecklandt starts the transition into basketball season. The Glenbrook United team is looking to build upon their successes of last year. 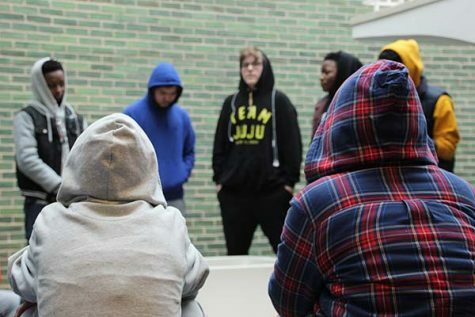 A sporadic thumping reverberates between the solid gymnasium walls before exiting out the main entrance. The sound of students squealing with delight converges with sneakers squeaking against the sheen surface of the basketball court. Across the way, a game of dodgeball is being played. At the far end of the room, students jump and cheer as they score goals in a five-on-five soccer match. Suddenly, students come rushing in from all corners of the gym—pizza is here! After a satisfying meal and polite dinner conversations, the fun and games proceed. Just as the energy of students fade, the eventful evening comes to a close, yet it seems nobody wanted the night to end. The Glenbrook United Special Olympics Team celebrated on Nov. 21 after all their hard work and dedication to volleyball this season. Head coach Pa’al Joshi believes it was a great way for the team to form enduring relationships that will last the whole season. Assistant coach Megan Williams agrees with Joshi and is looking forward to another basketball season after the team’s achievements last year. 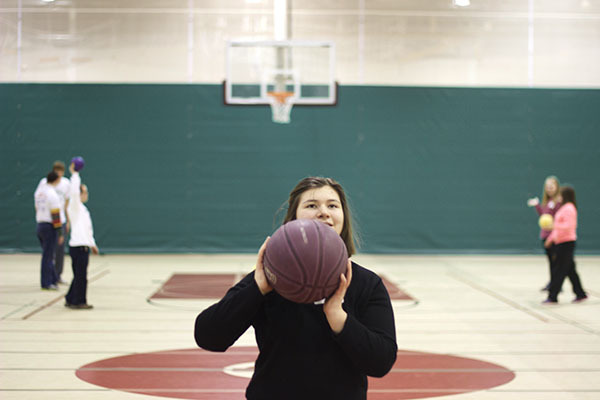 For some multiple-sport athletes such as senior Hannah Flanagan, basketball is undoubtedly her favorite. As a leader on the team, Flanagan is constantly thinking of strategies and techniques to help her teammates get better at basketball. “Everyone has their own weaknesses and strengths, so we try to [balance] them on the [court], and improve them during practices,” Flanagan said. Likewise, Senior Nina Santacrose said the party is both a time to improve her basketball skills and an opportunity to spend time with her teammates. “I’m really [glad] I joined the team because it [has allowed] me to meet the best friends I’ve ever had,” Santacrose said. Santacrose has been a part of the Glenbrook United program for four consecutive years, and has not only met new friends along the way, but has had the support of her family through it all. Her mother, Meg Santacrose, is grateful that Nina is fortunate enough to go to a school where she can play the sports she loves. Similarly, Nina’s sister, Erin Santacrose, a Loyola sophomore, notices Nina’s lively mood while she is playing sports. Erin originally bridged together Loyola and South when she organized a similar party for the team last year. “[This celebration] creates an opportunity to bridge the gap between Loyola students and some students who have more challenges,” Erin said. Aside from bringing the team together, Erin and her mother hope to encourage acceptance of students with disabilities at Loyola. 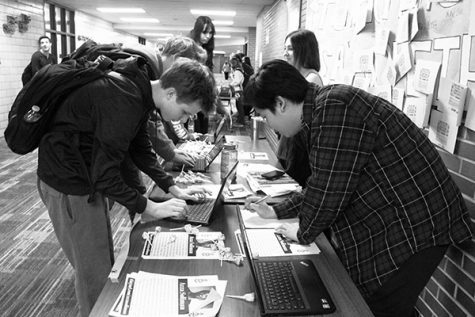 According to Meg, the event built enthusiasm at Loyola for the mentoring of students with special needs and established a sense of pride within the players. “The coaches have done a really good job not just teaching [players] the sport, but teaching them teamwork and confidence,” Meg said. In addition, Jennifer Pearson, District 225 Director of Special Education, believes that the district’s administration has played a role in the team’s successes. “The [administrative] board has been incredibly supportive of the team and has really embraced it as another one of our athletic teams in the district, and I am really proud for that,” Pearson said. 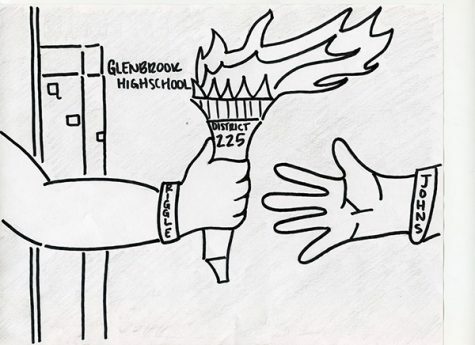 By connecting GBS, GBN, Glenbrook Off-Campus and Glenbrook Transition students, a sense of unity has formed between District 225, according to Pearson. The Glenbrook United program began with Joshi’s inspiration to form an all inclusive team. To Joshi, the team is focused on more than their wins and losses. He takes pride in his duty to the students.